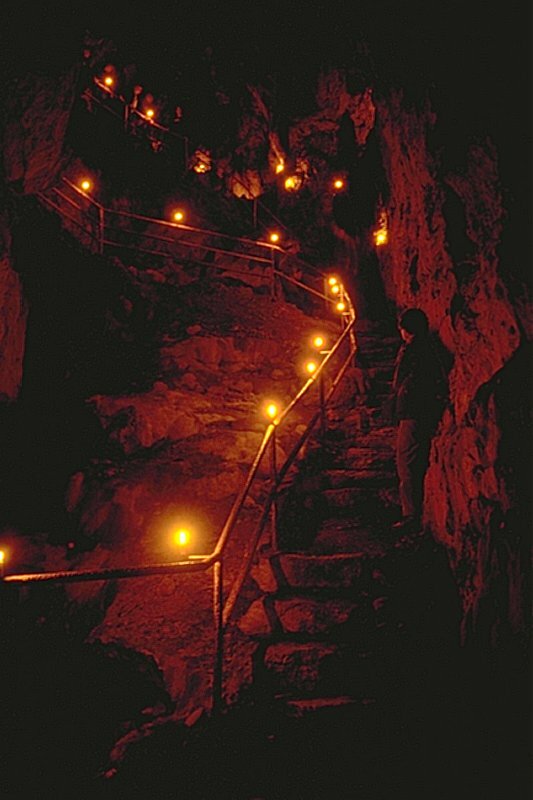 Image: Illumination of Rosenmüllerhöhle in Frankonia, Germany, with candles. Image: the by far best feature of the cave: coloured lights! 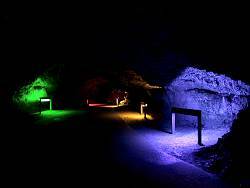 Of course, most show caves and mines have electric light. But some of them are still visited with carbide lamps or electric handlamps. 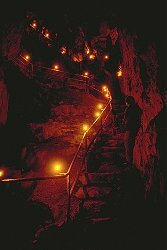 In very large caves, like the Eisriesenwelt the guide uses magnesium ribbon to illuminate it. magnesium burns with a very bright light. But, whatever you do: beware of coloured lights!